Madam Ruth Sando Fahnbulleh Perry, who led Liberia’s council of state during the long-running civil war has died. Madam Perry died quietly at the home of her son, Ralph Perry, in Colombus, Ohio in the early hours of Sunday morning, a family source told FrontPageAfrica Sunday. “She died in my hands this morning,” Ralph Perry told FrontPageAfrica of his mother who was 77. 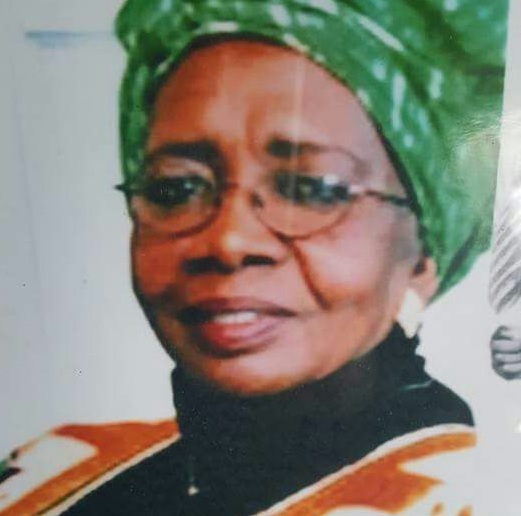 Madam Perry who had been ailing for quite some time, was interim chairwoman of the Council of State of Liberia from September 3, 1996 to August 2, 1997. The interim Council of State consisted of a civilian chair, as well as members of warring factions: Charles Taylor, United Liberation Movement of Liberia for Democracy – K, headed by Alhaji Kromah, the Liberia Peace Council headed by George Boley and two other civilians. Perry handed the presidential powers to President Charles Taylor following the 1997 presidential elections that ended more than a decade of civil war. Born on July 16, 1939, in Grand Cape Mount County, Perry was the daughter of Marjon and AlHaji Semila Fahnbulleh. Her parents later enrolled her in a Roman Catholic school for girls in Monrovia run by missionary nuns. Perry graduated from the Teachers College of the University of Liberia and later worked as an elementary school teacher in Grand Cape Mount County. She married McDonald Perry, a judge and legislator and they had seven children, one of whom, Georgia Jebbeh Perry, resides in the state of Rhode Island with her husband Augustus Duncan and their 5 children. Her other children, including the late Cecelia Marjon Goodridge who resided in Ohio with her husband Spencer Goodridge and their 5 children, take residence in several states across the United States and some still live in Liberia. Perry previously worked in the Monrovia office of Chase Manhattan Bank in 1971 and taught at a Sande school as an elder. When her husband was involved in politics, Ruth Perry engaged in the electoral campaign and tried to get women to vote for him. After her husband died, the party asked Ruth to run as senator for their home district. In 1985, Perry won a seat in the Liberian Senate as a Unity Party candidate. Perry broke ranks with the UP following the controversial 1985 elections won by Samuel Doe. After Unity Party office-holders and other official opposition politicians boycotted the Senate in protest, asserting that the Doe government was illegitimate, Perry did not join the boycott and became the lone member of the opposition in the Assembly. Said Perry at the time: "You can't solve the problems by staying away." Perry served until 1989. Afterwards, Perry launched a retail business and became active in civilian groups such as Women Initiative in Liberia, Women in Action for Goodwill and the Association of Social Services that sought an end to the growing Liberian civil war. On August 17, 1996, after 17 years of conflict and seven years of war, the Economic Community of West African States(ECOWAS) negotiated a cease-fire between Liberia'swarring factions and announced that Perry would replace Wilton Sankawulo as chair of the Council of State in an interim government. Reportedly all four warlords in the Liberian conflict had agreed to the peace agreement with Perry as interim leader. The ECOWAS leaders noted that men long had the opportunity to make peace, but had not succeeded. Now it was time to try a woman. So Perry was asked to take over as Chairwoman of the Council of State. The warlords said to her: "As a mother. Take us as your children and we will cooperate"
Perry will be remembered as a skilled organizer who mobilized women to help mobilized the business community and voluntary organizations.